Social media has become a key component in many organization’s marketing plans and strategies. An organization’s social media presence needs to be attended to now more than ever due to the ever-changing social world that we live in today. In order for your social media to prosper while also creating name and brand recognition, your organization should have one person (or a small team) in charge of all social media platforms to constantly implement social media and marketing strategies. 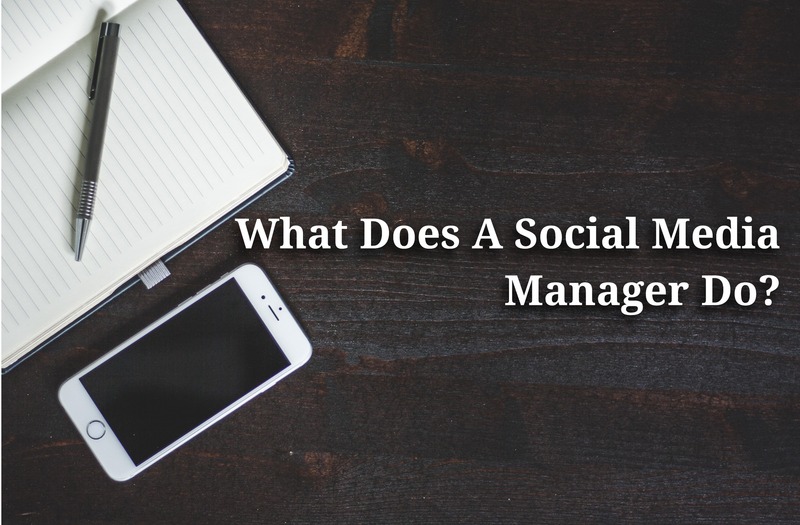 This blog will explain what a social media manager does, and what better way to do so than to have a marketing and social media specialist give a personal breakdown of the tasks this job entails? A social media manager, sometimes referred to as a social media specialist or social media coordinator, focuses on implementation of all social media tactics to ensure all social media activities are aligned with the overall social media strategy which is part of an integrated marketing plan for the brand. This includes monitoring social media accounts, ensuring that all posts go out daily at the correct times, with the appropriate content, and taking proactive steps to engage with the audience. Although this may sound fairly simple, a lot of thought and content creation goes into making sure that all social media posts are correctly representing the organization’s brand and emphasizing key messages. Social media managers must ensure that all posts are interesting, engaging, and directed to the appropriate target audience—ultimately making the organization’s name more recognizable as it goes about marketing and selling its goods and services. At CATMEDIA, all posts are created and managed for Facebook, Twitter, LinkedIn, and Google+, as well as the occasional Pinterest and Instagram content. Planning is a key task when it comes to social media management, and it makes the job much easier. To start the planning process, we create a monthly calendar to organize all of the social media content that will be posted daily on certain social media platforms. As we create content we keep in mind the target audience and the social media platform. Posts on Twitter are different in content and format than posts on LinkedIn for a number of reasons. On Twitter, you are restricted to 140 characters, so you can make a short post and add a link. Another difference is that Twitter encourages the usage of hashtags, which is not a feature used on LinkedIn. With LinkedIn you can create longer posts and can participate in specific targeted groups. Through connections, you can create more targeted communications and can “listen” to what prospective and current customers find important. Most content that is created and posted on CATMEDIA’s social media is centered on new job postings, internal news, press, awards, national holidays, and our weekly blogs. Each organization has a different social media strategy with specific social media objectives for their firm and brands. Some social media strategies may involve a blog page on the organization’s website while others may not. Blogs have become a great way to expand an organization’s name through brand awareness and demonstrate thought leadership. Blogs drive traffic to your website when you provide direct links to the blog within your social media posts. Once a reader has clicked and read a new blog post on your website, they may move to the homepage or other informational pages to find out more about your organization. The social media manager is responsible for managing the development and publishing (posting) of all blogs on the organization’s website and for creating intriguing social media posts that encourage readers to click on the blog. At CATMEDIA, blogs are an important part of our social media strategy, and we adhere to a consistent schedule. Consistency helps build readership and the firm’s reputation as a contributor in various topics or market segments. Our social media strategy includes publishing a blog every Tuesday and Thursday of the week. The blog topics for each month are planned and assigned in advance. The social media manager develops blog topics that are relevant to the industry and audience, searches keywords and semantic words for SEO purposes, and assigns blog topics to employees based on their areas of expertise. Once these blogs are written, they must be edited, imported to WordPress (our website domain site), and formatted to conform to our website before publishing. Once the blogs are published on the website, social media content is posted on all platforms to direct followers to view and read them. So, how do you know people are reading the blog posts and engaging on social media? Tracking analytics for social media, blogs, and the website is a crucial part of any social media strategy and is a top priority in social media management. Analytics reveal several key metrics: social media reach which is the number of people viewing posts on social media sites, engagement levels which measure long-term communication with your con tent, and interaction levels which measure how many people are interacting with posts through ‘likes’, ‘favorites’, retweets, clicks, comments, and shares. 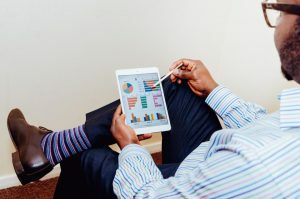 Analytics can also be taken from your blog and website and show a number of things such as the number of page views on a blog post or website page, unique visitors, time spent on the page, whether a person viewed other pages on the website, and much more. A social media manager must make sure that they are tracking and documenting analytics frequently and consistently. Analyzing the numbers helps the social media manager decide what worked best, which posts are most engaging to followers, determines whether or not the social media strategy is on track to meet objectives, and brings to light anything that needs to be adjusted or changed. 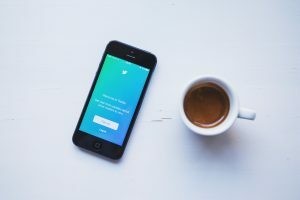 Depending on the size of the organization, a social media manager may double as the public relations representative and point of contact, or may coordinate their tasks with a public relations manager. In any case, the social media manager is likely in charge of handling any public relations communications that the organization needs to share with its key stakeholders through social media channels. Public relations materials include announcements of awards the organization received, sharing news about internal progress on key projects, introducing new hires to the team, giving updates on charitable association activities, etc. As you can see, social media managers do much more than tweet once a day and write blog posts every now and then. In order to maintain a positive social media presence for your organization, a strategy must be put in place, and then each detail meticulously implemented, tracked, evaluated, and reviewed for continuous improvement. Your social media manager is an important part of the integrated marketing team. Some firms contract out their social media management to an agency when the organization doesn’t have the required expertise of one or more critical social media management capabilities within the internal marketing team. The agency team becomes an extension of the in-house marketing team and carefully coordinates assigned social media activities within the client’s overall integrated marketing plan. What challenges are you dealing with regarding social media management? Share your story below.